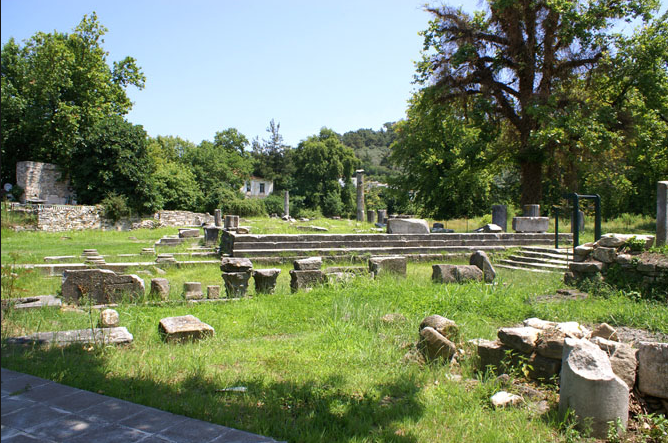 The Ancient Agora is wll – know history place on Thassos. This place you must visit. Nestled near the coast of Thrace in the Aegean Sea is the Greek island of Thassos. The pristine coastline rises to a mountainous, pine forest-covered inland and the entire island is dotted with towns. The most notable of these towns is the capital, which you can find situated on the northern shore. The ancient port city goes by many names – Thassos, Thassos Town, Limenas Thasou (the “Harbor of Thasos”), or simply Limenas. It is often informally called Limenas, which just means “harbor” or “port” in order to distinguish it from the island itself. Thassos has a rich history, dating back to antiquity and the island is home to Iron Age burial sites as well as ruins from many different time periods. Near the Thassos Town Museum of Archaeology in Limenas is the Ancient Agora – ancient town of Thassos. Because of Thassos’ close proximity to the coast of the mainland, it’s believed that the island has been inhabited since as far back as the Paleolithic era. Limenas is only about 6 miles (10 km) from Keramoti on the mainland. The Phoenicians were drawn to the gold mines very early in their conquest of the region, and Greeks from Paros also established a colony on the island later. Along with gold, the island was also known in ancient times for its marble, wine production and abundance of nuts. For thousands of years it was inhabited by both miners and farmers. The wine was particularly famous and Thassian coins featured the head of Dionysus – God of Wine – on one side and a bunch of grapes on the other. The modern town of Thassos was built partially on top of, and slightly to the west of the ancient town in the same locale as the two harbors that compose the port. The port bustles with activity today and has done so for thousands of years. 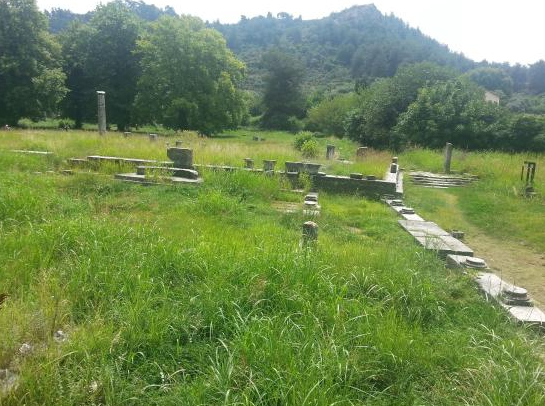 Ruins can be found in the town and all around it, including those of the Ancient Agora and also the Karakalla Arch as well as the Zeus and Hera Arch. 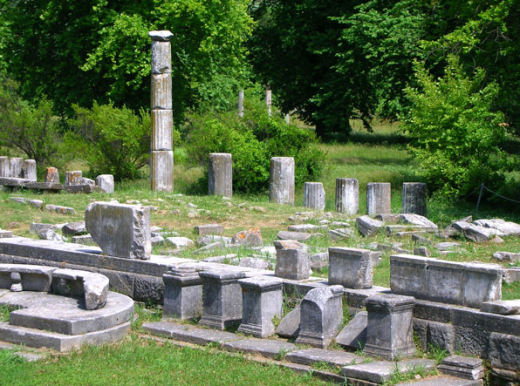 Most of the archaeological discoveries and finds from the island are housed in the Thassos Town Museum of Archaeology, but the Agora is still definitely worth a visit. Today, people also visit Thassos for its scenic beaches, waterfalls, and giolas. Giolas are stunning, naturally formed swimming pools that can be found on the southern side of the island. Right along with the Museum of Archaeology and a climb up Mount Ipsarion, the Ancient Agora – ancient town of Thassos – is a must-see for visitors to the island. The Acropolis of Athens is what most people think of when it comes to historic Ancient Greek sites. 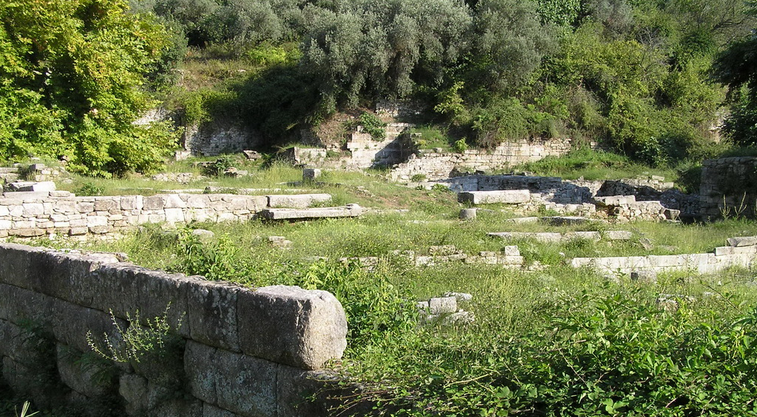 Thassos has its own Acropolis, which is near the Ancient Agora. Thassos’ Acropolis isn’t as grand as the famed one of Athens, but like in Athens the Acropolis is always undergoing restoration work. The fort with its exquisite marble walls is often extremely crowded and noisy with both tourists and workers up on scaffolding. The Ancient Agora is different, but it won’t disappoint. The scale isn’t as grand, but it still has a great deal to offer visitors. The site was once the location of an extensive archaeological dig and the grounds are often described as being “garden-like.” There is ample shade and you can easily find benches for resting as you travel the paths between buildings. Entrance into the area is always free and you can get a close-up look at the architecture, including elaborate columns, as well as a lot of interesting statues that weren’t moved to the nearby museum. The Museum of Archaeology and the Ancient Agora are both conveniently located near the center of the town, but the Agora is almost always quiet, drawing less attention than the Acropolis and the also nearby Ancient Amphitheater. Walks through are relaxing and tranquil if you need a change of pace after extensive sight-seeing. You can get a feel for the layout of the old town and also get much closer to ancient statues than you can at museums. 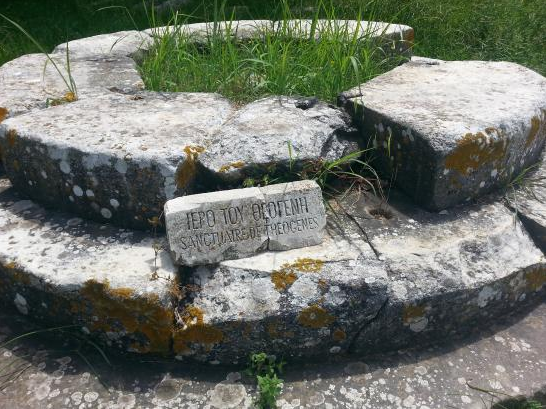 The Ancient Agora was discovered in the mid-1900s by a team of French archaeology students. The original construction of the Agora began sometime during the 4th century BC and it was completed during the 2nd century. 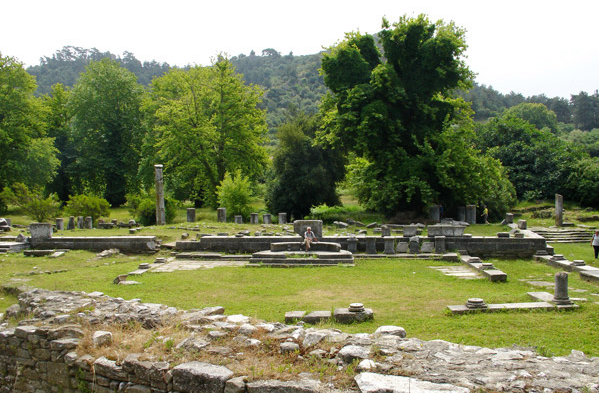 It is believed to be the center of the original Thassos Town. You can actually walk through what remains of the three gates that led into the market, which flourished along with the port. 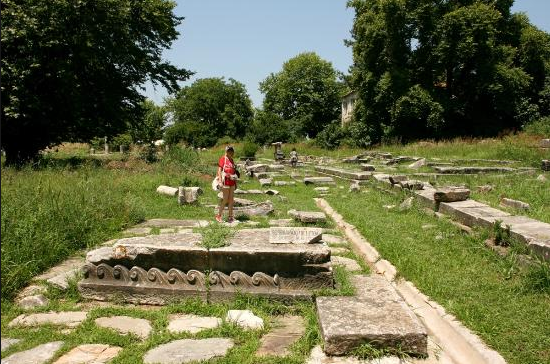 Branching off from the market area is the Ancient Odeion. Odeions (or odeons) were smaller theaters that were very similar in construction to the large amphitheaters. Today only the first three rows of the auditorium remain, but you can still see the shape and get a feel for the construction. 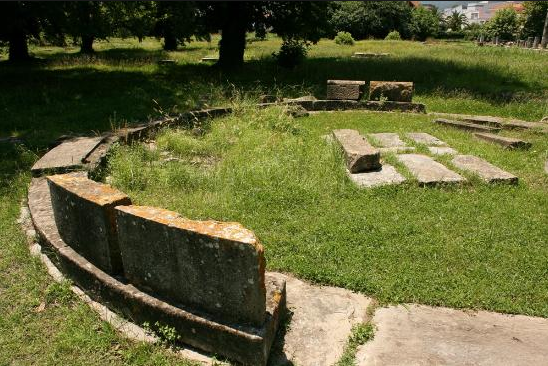 You can also find the Dionysion in the Ancient Agora, which was dedicated to the god Dionysus. Pottery and other ceramics, as well as coins from the Classical era and the Roman era that were found during the excavation are now housed in the museum. A fairly obvious destination to visit when you pay a visit to the Ancient Agora is the Museum of Archaeology. It is right up the path from the Agora. The building looks small and quaint, but the collection inside is one of the best. The artifacts inside span from the 7th century BC all the way to the 7th century AD and you can see many of the items found during the excavation of the Agora. Also nearby is the Thassos Acropolis and the Evraiokasto. The latter sits below the Acropolis and near the Ancient Amphitheater. Other museums on the island of Thassos include the Polygnotos Vagis Museum, Tarsanas Folklore Museum, Kallirachi Folklore Museum, and the Limenaria Folklore Museum. There are also several notable churches and also the Archangel Michael Monastery. The exact date that the monastery was first built is unknown, but it was referenced as early as 1287. These and many other destinations around Thassos can give you a unique way to experience Greece. 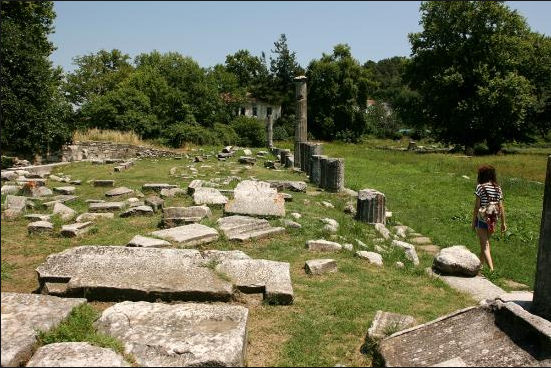 Thassos is a combination of natural beauty and fascinating history, especially the Ancient Agora.